"Iao Sabao" is the debut EP for the recently signed to Cruz Del Sur Music ba..
MAGISTER TEMPLI found the most accurate alchemic balance to create a formula of Occult/Doom music..
Gatefold vinyl edition for MAGISTER TEMPLI first full lenght album. Available in LIMITE.. Available in Limited (150) ORANGE and Regular BLACK vinyl. SOLD OUT! Available again in a .. 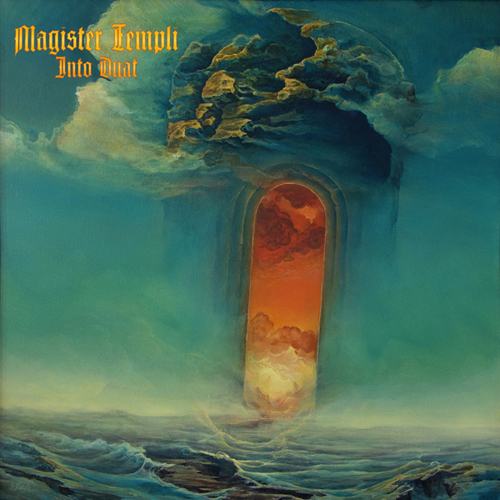 ORIGINAL MAGISTER TEMPLI tshirt design by German Artist KARMAZID! Tshirts are FOTL..